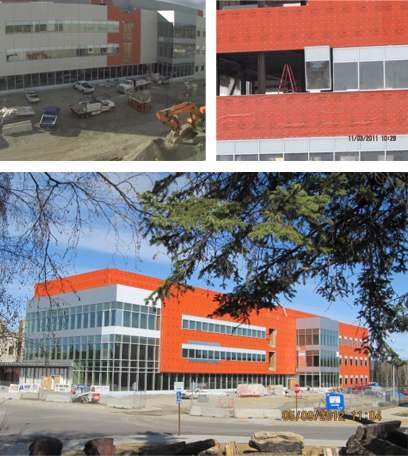 We are excited to share with you some recent Solera® projects from the West Coast – including University of Alaska, MEC Store and Kasier Permanente Medical Center – San Leandro. 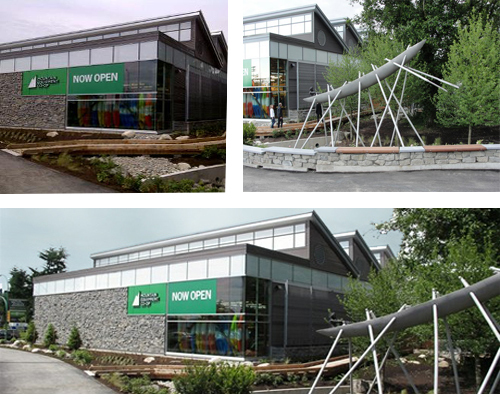 If you have photos of your new Solera® projects – please share them with us at: info@advancedglazings.com. The Smith Group – San Francisco, seized the opportunity to use Solera® following a lunch and learn in April, 2011. 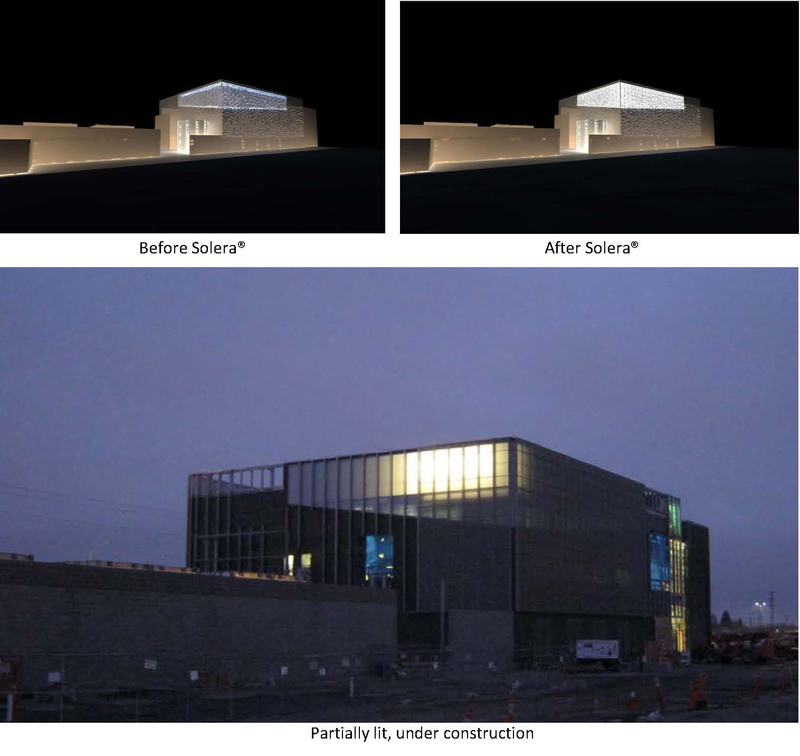 The team was at a critical juncture in the Building Envelope material selection process when they learned that Solera® could provide high levels of visible light transmission with a deep light penetration through diffusion. The Solera® with Lumira aerogel R18 thermal performance allowed the building envelope to retain the amount of glass desired, without compromising the building envelope stringent energy performance requirements. Despite the late cycle entry of this material in the design phase, the collective team including the unitized curtainwall contractor, Bucher Glass, capitalized on the versatility of Solera® to fit into any standard curtainwall system. This meant that the fundamental design was not compromised and project deadlines were exceeded. AECOM lit it up! The San Francisco office ingeniously transformed a seemingly utilitarian “Central Utilities Plant” at Kaiser’s San Leandro Medical Center to announce its presence for those in need. The back-lit beacon used Solera’s unique diffusing properties to glow at night, visible to high traffic on the nearby Interstate 880. Close collaboration between lighting designers, architects, contractors and Advanced Glazings, Ltd. engineering team optimized Solera® for perfect luminance with the existing lighting package. Advanced Glazings would love to share your Solera® project with our readers. Please submit any details & photos to info@advancedglazings.com. Interested in learning how Solera® will help you achieve your daylighting needs? Please contact us at info@advancedglazings.com. « Our Newest Entries in the 3rd Quarter iPad Giveaway!